Guerilla Games took a huge risk with Horizon Zero Dawn. The developer responsible for the Killzone franchise took a giant step, no leap, out of their comfort zone to deliver one of the most brilliant open world games I have ever played (and I’m roughly 12 hours in). 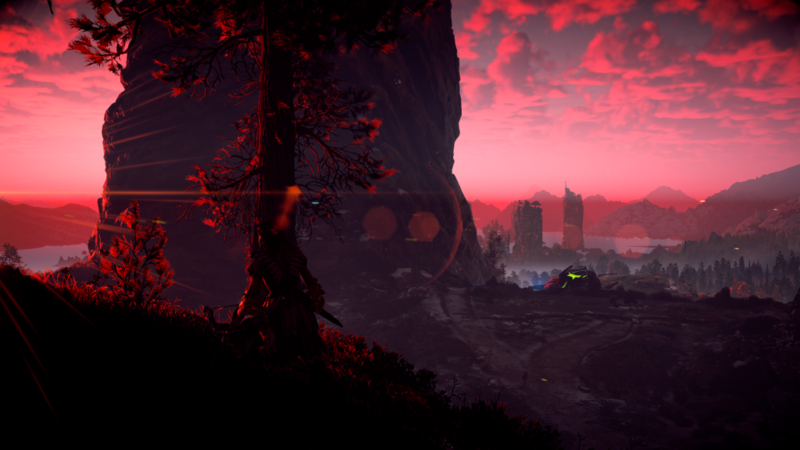 Horizon throws the player into a post-apocalyptic world, littered with remnants of past civilizations, where humanity works to survive against a wilderness inhabited by machines. The machines are (you guessed it) machine creatures that span in size from the small to building size. You play as Aloy, and outcast from birth, and set out to discover the mysteries behind the machines, the people before you (the ‘metal world’), and where you (Aloy) came from. Aloy is a charming, compassionate protagonist who was taught by her guardian from an early age the way to survive and fight. 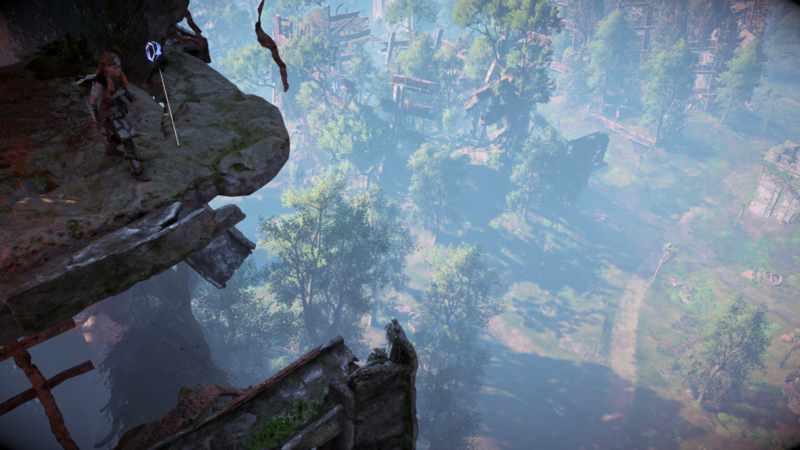 Most open world games these days follow a simple formula: Giant map, lots of unnecessary collectibles, structures that when scaled will reveal more of the map, outposts full of bad guys, and other hazards along the way. Horizon is similar but different. The map is huge, and full of resources to collect, but they are all important. Collecting of plants and other fauna for health and crafting supplies is necessary. There is an abundance of them and it’s easy to collect and move on. There are ‘structures’ that when scaled will reveal more of the map, but these are very well done and I don’t want to spoil anything. Each machine also contains valuable crafting materials, and taking them down is fun and refreshing thanks to a great combat system. There are several types of weapons: bow, spear, tripcaster (allows you to lay trip wires), and others. Each machine has a weakness and weakpoints that should be targeted in combat. In my opinion, it’s best to approach stealthy, but if you are noticed, the stuff can hit the fan and it can get pretty frantic. 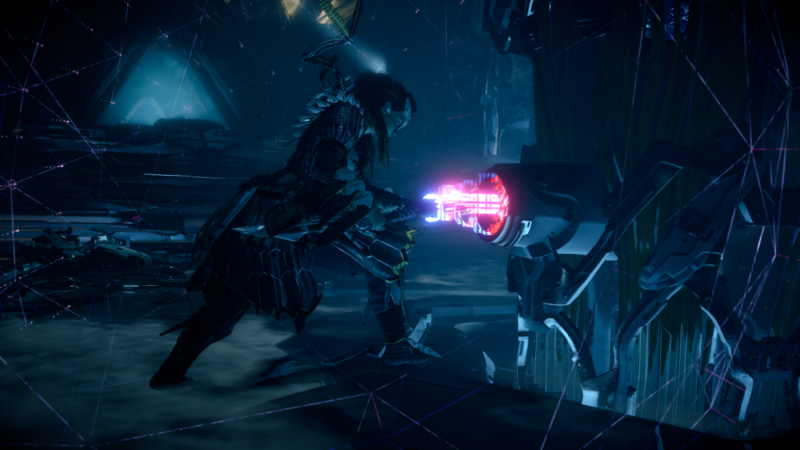 You can locate machine enemy weak points by using your ‘focus’ a gadget from the ‘metal world’ that Aloy finds early on. Think of it as a high tech scanner that gives you important information on the fly. You are also able to craft ammo for your weapons, like arrows, on the fly during combat. Run into a machine that has a canister that will explode if exposed to fire? If you have the materials you can craft some (or switch if you already have some made) with ease. If you find yourself up close you can do a light or heavy attack with your spear. This can get clunky if you’re not positioned carefully. Graphic wise, Horizon is hands down the best looking game I have ever seen. The world is GORGEOUS! I don’t know how long my mouth was open in awe of it. Character models are great too. Facial animations can be derpy occasionally, but it doesn’t hurt the experience. I don’t like using too many cliches, but the game’s visuals took my breath away. Q1 2017 is a great time for gamers. We have been blessed by the gaming gods with games like Horizon, Nioh, Nier: Automata, Halo Wars 2, Gravity Rush 2, Zelda Breath of the Wild & Mass Effect Andromeda. With these many great games releasing so close to each other it will be hard to justify spending full price on every one. 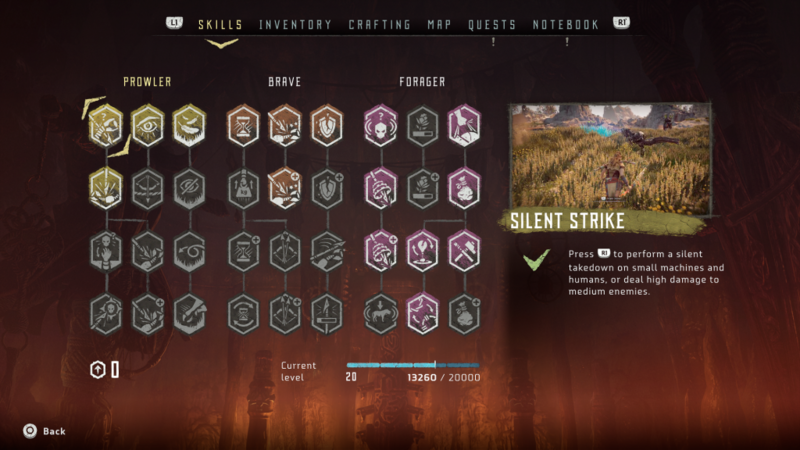 If you can only pick a couple to get now, I strongly recommend Horizon be one of them.